For some excellent Mathematical Puzzles and games resources have a look at Celebration of Mind. For a new kind of puzzle Yohakuu is a puzzle that will test your number sense and problem solving skills. Each Yohaku puzzle is either an additive or a multiplicative puzzle. You must fill in the empty cells such that they give the sum or product shown in each row and column as well as satisfying a rule if given. Choose from 2×2, 3×3 or 4×4 puzzles. These could be used as Starters or perhaps in form time. Follow Yohaku on Twitter. Checking the Twitter stream I noted this algebraic puzzle below, an excellent idea. Try a little logic, where must c be placed for example. From Cambridge PhD student, Omar Wagih ‘Guess the Correlation‘, a rather addictive game with a purpose – Omar Wagih is collecting the data on the guesses collected and using it to analyse how we perceive correlations in scatter plots. Select About to read the rules and further details. For early Probability and Statistics, see Statistics (at the bottom of the page) on Science Kids. Try the Monty Hall problem on the Shodor site. For a rather sophisticated use of games in the Statistics classroom for older students, see the Minitab Blog on Using Games to Teach Statistics. The Tangram Game and further details can be found here. Further activities are available under Activities and Game-Based Labs. A consistently popular post on this blog is ‘Lovely Puzzles‘ which has links to many puzzle sites which include mathematical puzzles. This seems a good time of year to investigate some of these further. A good puzzle for Christmas Eve perhaps (or any day!) would be ‘Make 24’. Can you make 24? You must use all the numbers once and you are allowed the four operations and brackets. (Further information and solutions for Make 24 and other Number puzzles are listed on the Number page on Mathematics Games). Number puzzles like this can make excellent starters. Other possibilities for puzzle-type lesson starters come from Erich Friedman who has a variety of Mathematical Puzzles; try his Weird Calculator Puzzles for example or these Number Formation Puzzles both of which would make ideal ‘Bell Work‘. I couldn’t resist this counter moving challenge – happy to report that I scored 20! Evidence in the image! Update: 19 is the new record! You can try more puzzles from Transum here. There are plenty to try, all are attractively presented and easy to use. Fun to do but these puzzles will help students practise a variety of mathematical skills. 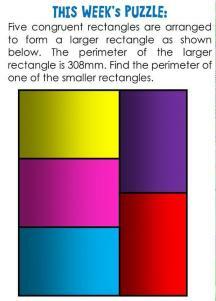 Some of these puzzles would make good lesson starters, for example the Magic Square puzzle or Prime Square. Note – this has been added to the Puzzles page. From Coolmath games – a logic game to keep you busy! Can you light up the Christmas tree? From Coolmath Games – light up the tree! Play with the wonderful Spirograph! As a child my Spirograph was definitely a favourite toy so I was delighted to find this digital version, Inspirograph by Nathan Friend. Try altering the gears so that the fixed and rotating gear are the same size, or make one size a factor of the other, make the two sizes have a common factor, or not! Investigate. You can change the colours too and create a work of Art! For some more Spirograph resources including from the awesome Desmos graphing calculator see this post.